In two weeks, hundreds of delegates across different industries will converge on London for the Impact Investing Summit 2018. The annual conference is just one sign of increasing interest by investors and consumers to put their money where it can do good. In fact, one of the planned keynotes is titled, "Impact Investing is the New Norm.” Addressing ethical expectations is becoming a strategic advantage. Research by British bank Barclays supports the trend. 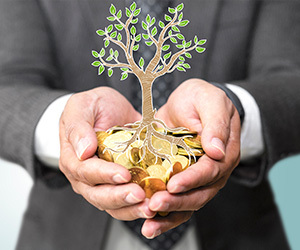 In a 2018 poll, the bank found a 13 percent rise in the number of investors under the age of 40 who had made an impact investment—from 30 percent in 2015 to 43 percent this year. While investors over age 50 haven’t yet made the leap to impact investing—only 9 percent of 50-59 year-olds and 3 percent of 60 and older—the fact that younger generations with less cumulative wealth are already targeting socially and environmentally responsible investments bodes well for the future of impact investing. This new focus is a shift from the traditional approach of addressing social and environmental issues through charitable gifts from philanthropic organizations and individual donors. And the benefits are rolling in. According to GIIN's 2017 Annual Impact Investor Survey, portfolio performance across funds focused on impact investing are meeting or exceeding expectations—both in terms of positive impact AND financial returns—among 91+ percent of respondents. And the returns from impact investing are increasing. GIIN reports that the average growth rate across 61 impact investors saw average asset growth of 18 percent annually. See how changing attitudes and priorities could impact your organization in our eBook on Ethical Expectations. Check out our solutions for third-party due diligence and proactive risk monitoring. Follow our blog for our on-going series on Impact Investing. Next up: A closer look at the ESG & market drivers behind Impact Investing.